Our Day Care Policies help ensure the health, safety and comfort of your pet. All dogs must be at least 16 weeks of age or older, having their third set of Distemper/Parvo(DHLPP) vaccines along with Bordetella* and Rabies. All dogs 6 months or older must be spayed or neutered. Current vaccinations are required for attending day care and must include the following: DHLPP, Rabies, and Bordetella. These vaccinations must be administered at least 7 days prior to attending day care. All dogs must be in good health and be treated for flea and ticks. Owners will certify their dog(s) are in good health and have not been ill with a communicable condition in the last 30 days. Upon admission, all dogs must be free from any conditions which could potentially jeopardize other guests. Dogs that have been ill with a communicable condition in the last 30 days will require veterinarian certification of health to be admitted or readmitted. All dogs must be non-aggressive and not food or toy protective. 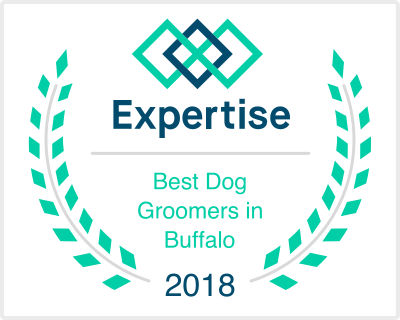 Owners will certify their dogs have not harmed or shown any aggressive or threatening behavior towards any person or any other dog(s). Please remember: your pet will be spending time with other pets and the safety and health of all animals is our main concern. In the event your pet injures another dog at day care, the owner is responsible for veterinary fees and/or services. Reservations are required. Cancellations with less than 24 hours notice will be charged $25.00 fee if appointment can not be refilled. * These vaccines are generally not part of routine vaccine protocol and may need to be requested from your veterinarian. • Staff goes off duty at 6pm. There is a $1 per minute charge for any pet left after 6pm. 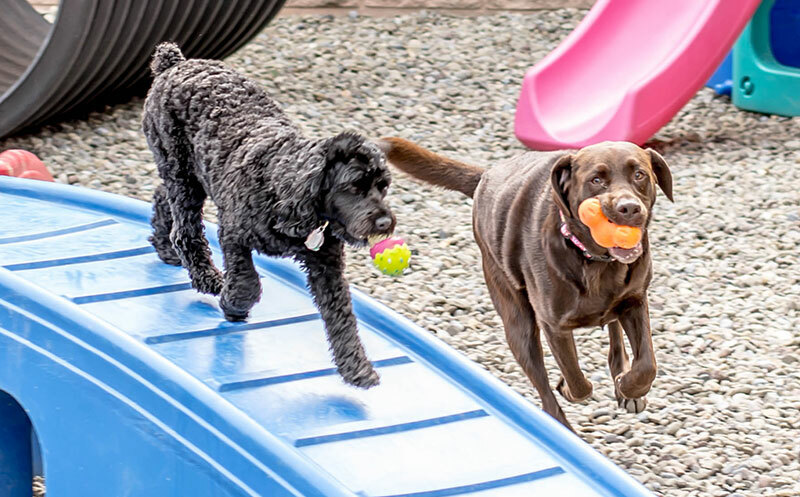 Book your pet’s play day today! Let us help give your dog the exercise, attention and love they crave! 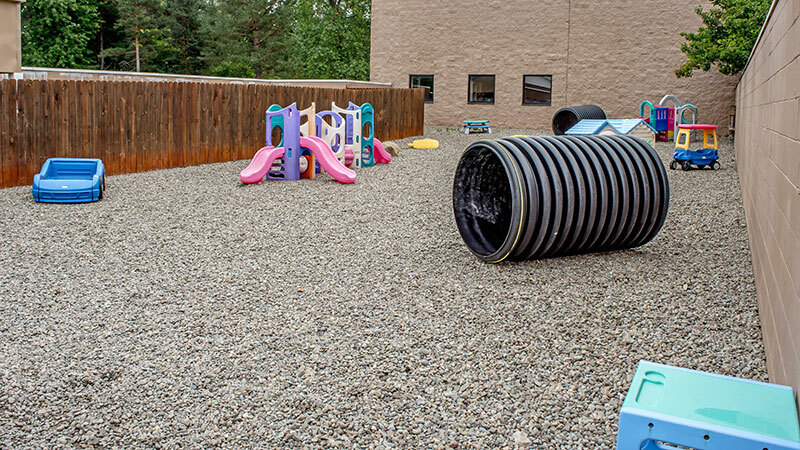 We offer a safe, clean, loving environment to play with their friends and get the exercise they require. After a long day of work and a fun day at play, you and your dog will both be ready to go home and relax together. 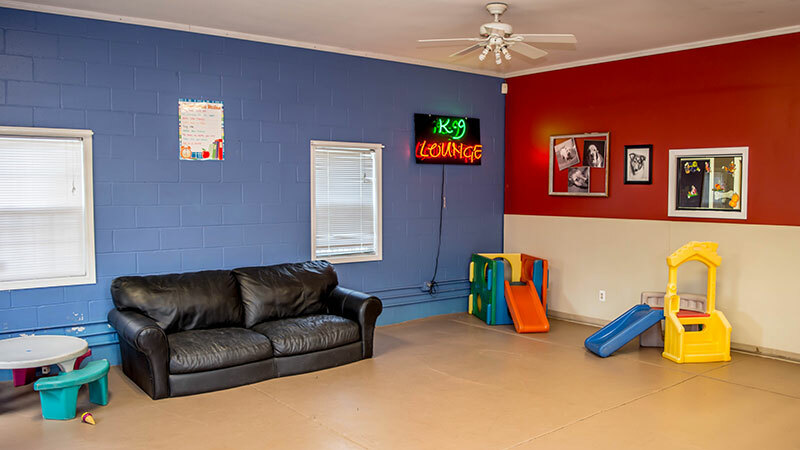 Play, relax, or nap in our indoor hangout with toys, play furniture, and lounging beds. Air conditioned in summer, heated in winter! Clean, spacious 3000 square foot outdoor exercise area for all-season recreational fun! Visit La-De-Da today, because we have high standards and so should you!